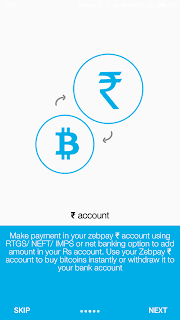 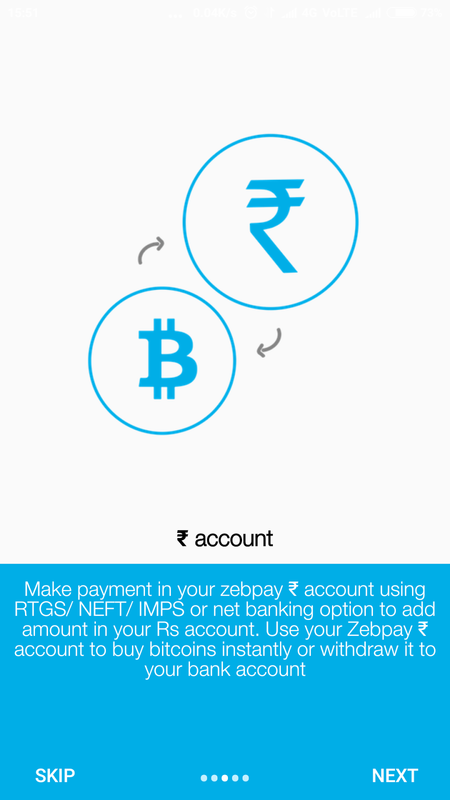 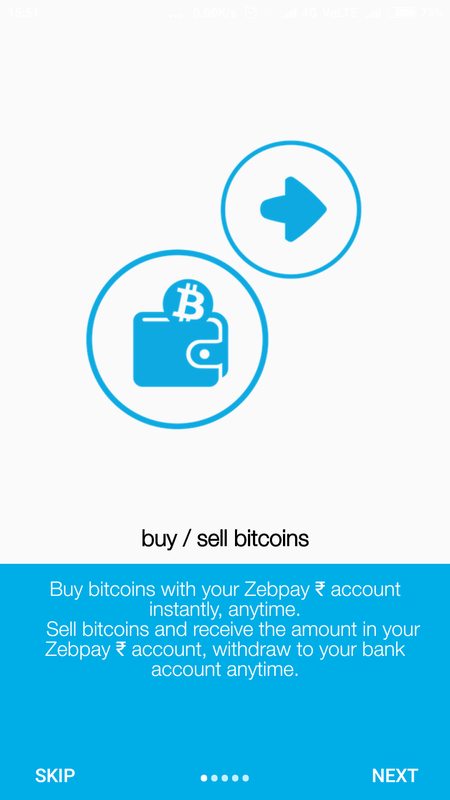 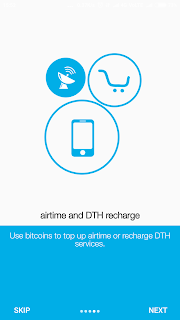 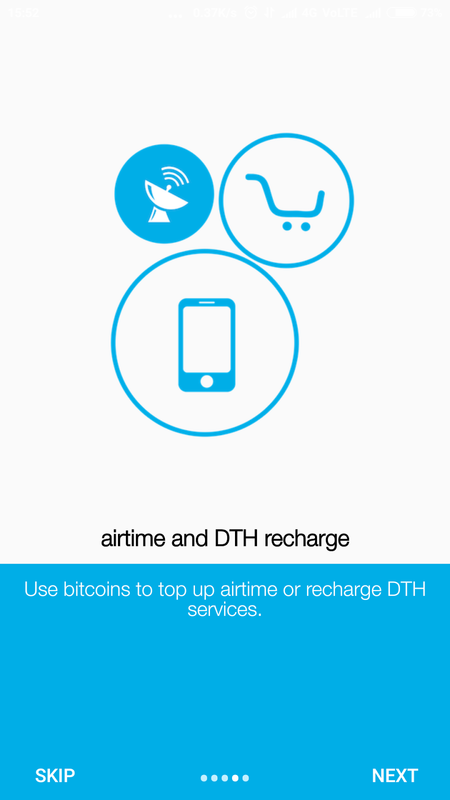 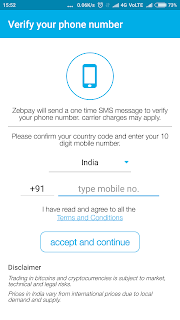 Check out my first post on ZabPay if you don't know much about ZabPay app.This is the link ZabPay Best app to Invest and Earn through BitCoin.If you have not downloaded yet.Please Download the app from the link I provide here so that you get Rs.100 Free after you buy your first BitCoin.Download from here.Once you have downloaded the app.Then the question is how to get started with the ZabPay app. 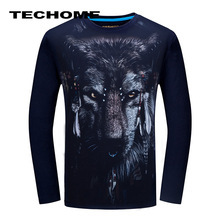 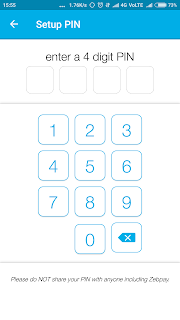 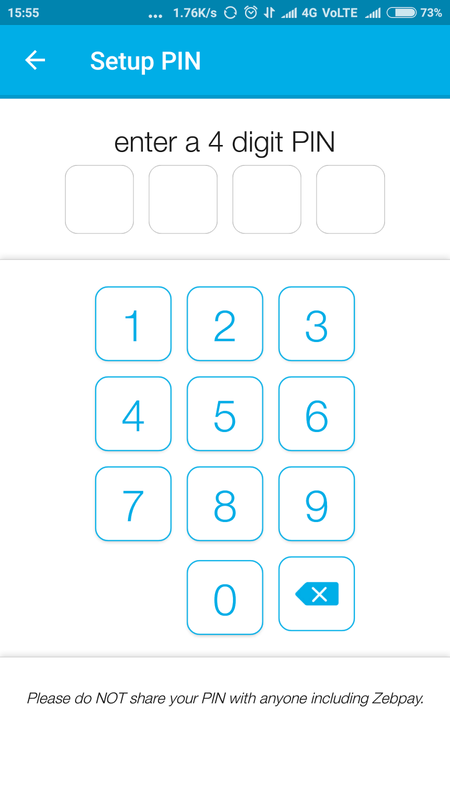 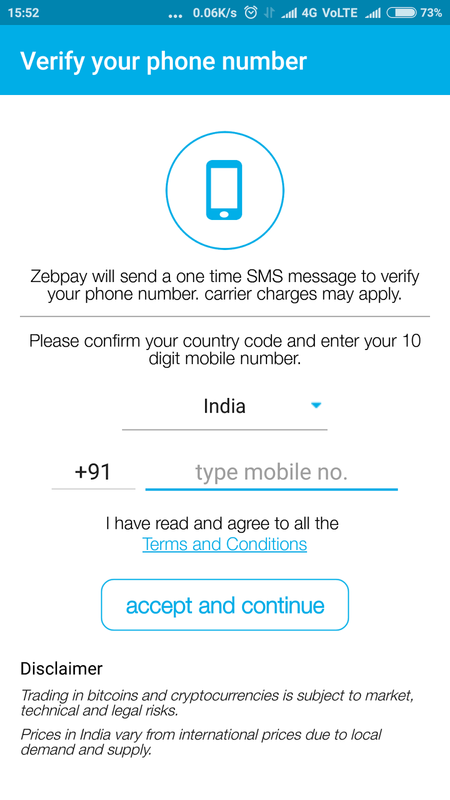 Select the country and enter your phone number and click on accept and continue. 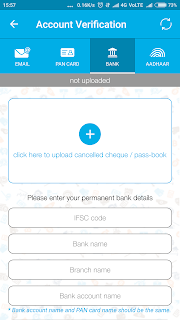 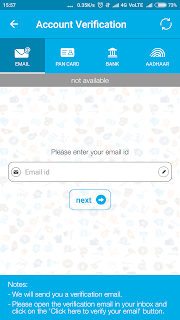 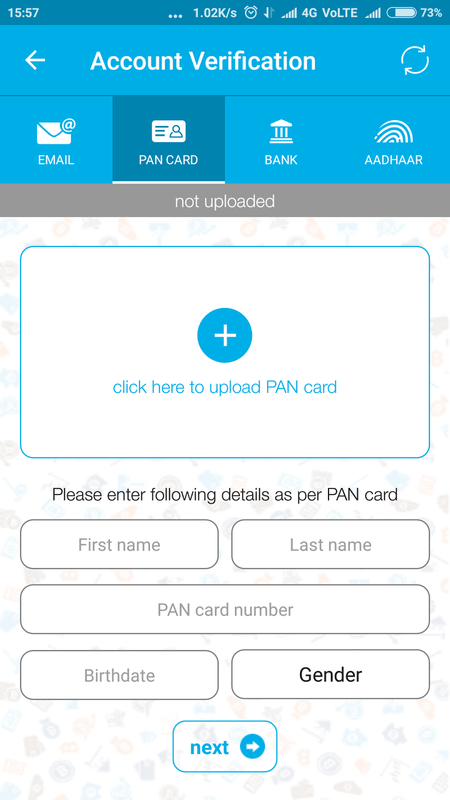 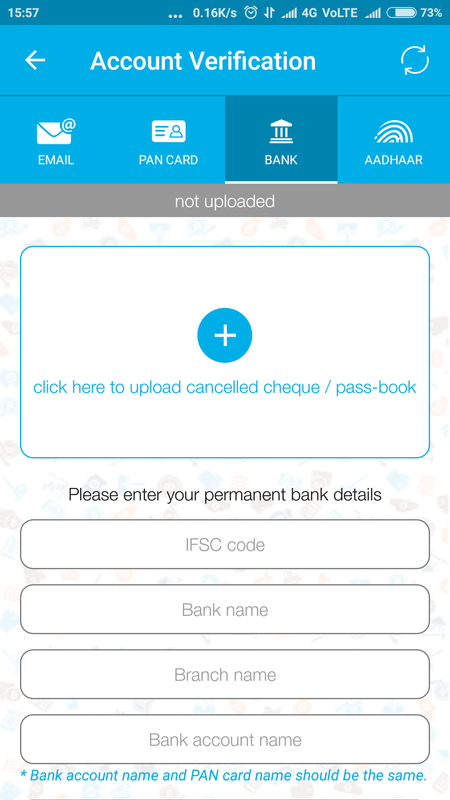 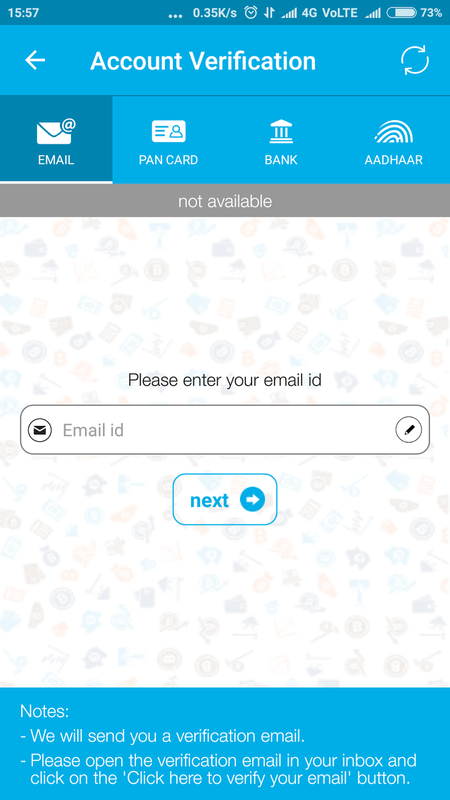 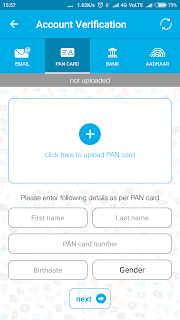 After you click on continue it will be redirected to the mobile number verification screen. 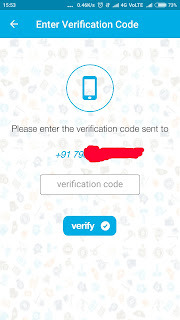 If it didn't take the OTP automatically you enter it manually in the Verification Code box.Then Phone number will be verified like this. 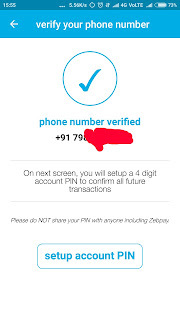 Once the phone number is verified then click on setup account PIN it will take to setup pin screen. You set up the pin and confirm the pin.Please keep the password which you can remember as it is needed for logging in to the app next time.It will ask for fingerprint verification click on OK and verify it. 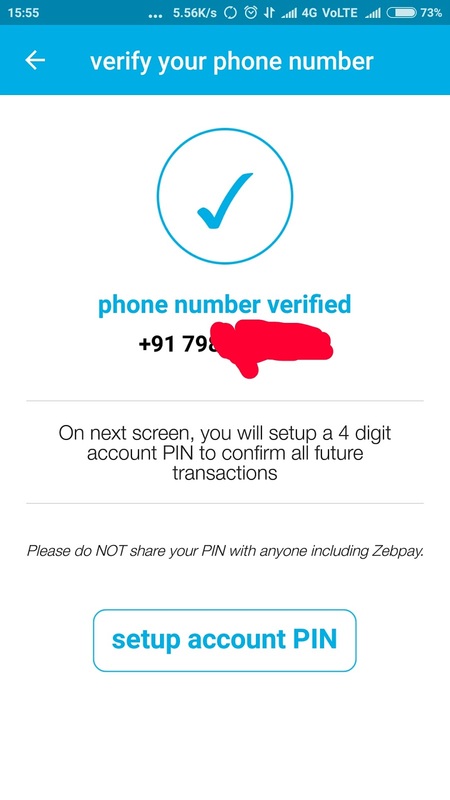 This is an initial set up to create your account in ZabPay once successfully verified it will take to the home screen like this. 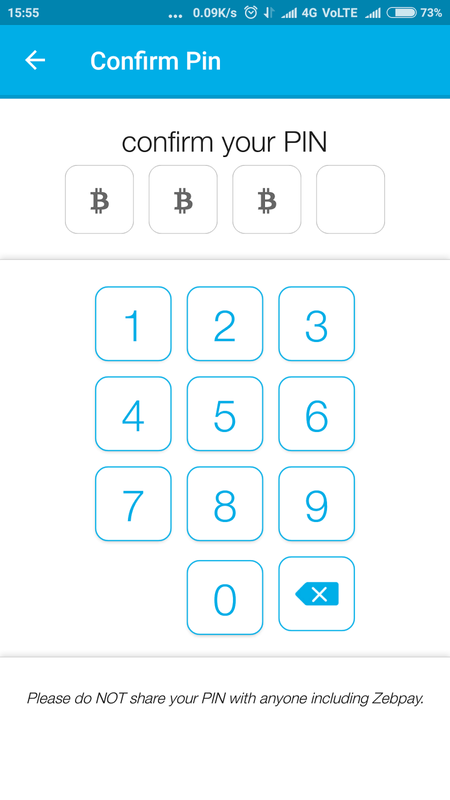 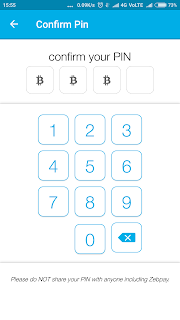 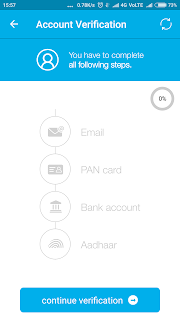 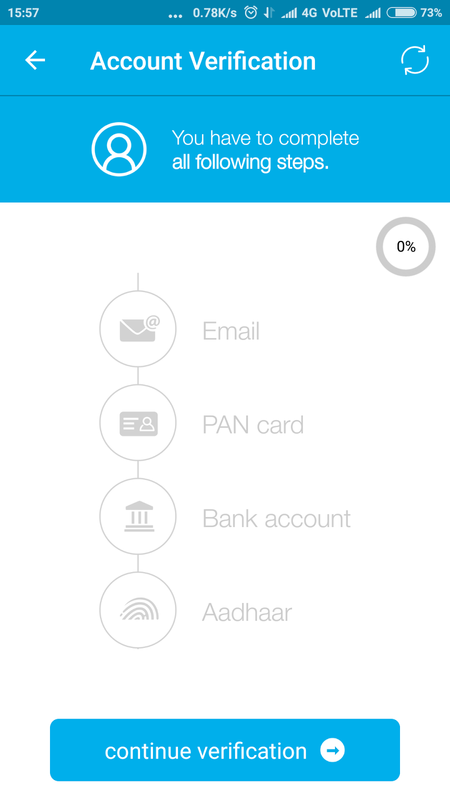 This is not yet over still you have to verify your email, Pan Card, Bank account details and Adhar card details to be able to buy and sell the Bitcoins.To do that click on the menu icon(three parallel lines appear at the top right corner). 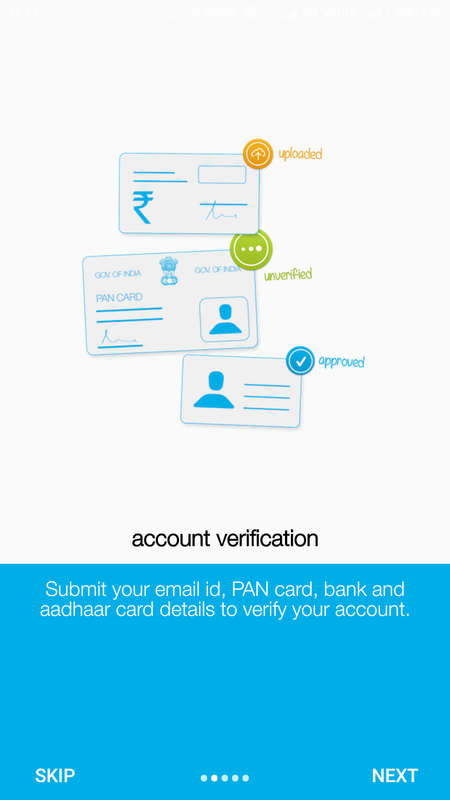 Then click on verification.Then the screen will be like this. 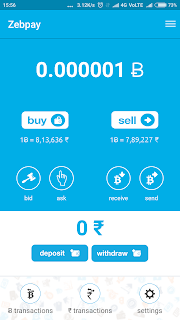 You can clearly see on the screen that 0% is verified.So we have to verify these four things to Buy or Sell BitCoins. 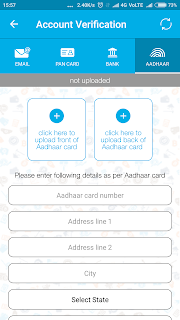 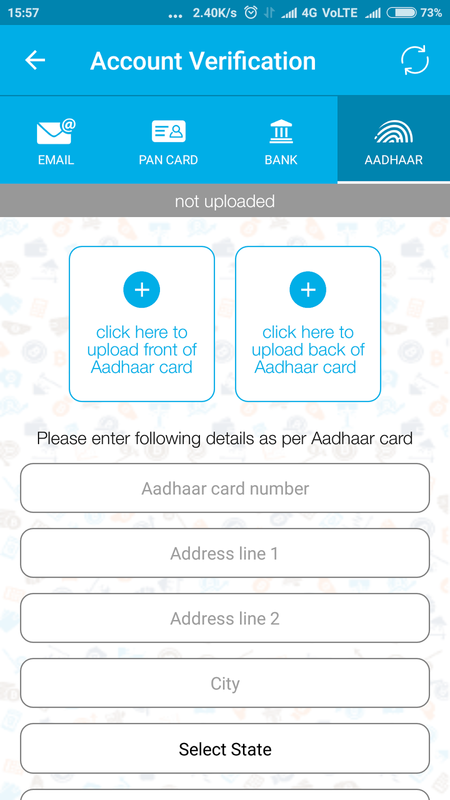 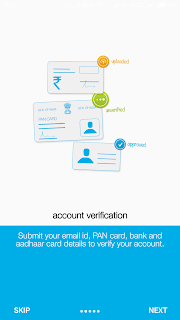 So enter the details and click next.Email and Adhar card will be verified instantly but Bank account details and Pan card details verification may take 3 days to be verified. 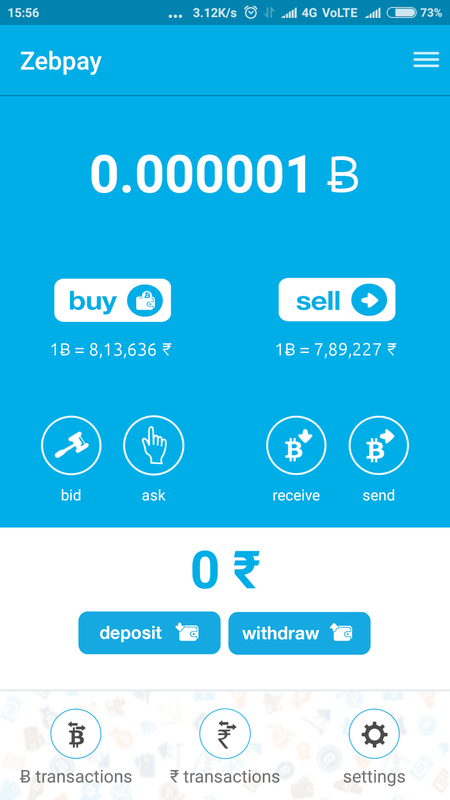 Once the verification is completed you can Buy and sell the BitCoins.